MINI-ARRAY: Controller w/16-discrete NPN Outputs. Input: 16-30V dc. Outputs 1-16: Discrete Solid-state NPN output. Serial Data Output: RS-232. MINI-ARRAY: Controller w/16-discrete PNP Outputs. Input: 16-30V dc. Outputs 1-16: Discrete Solid-state PNP output. 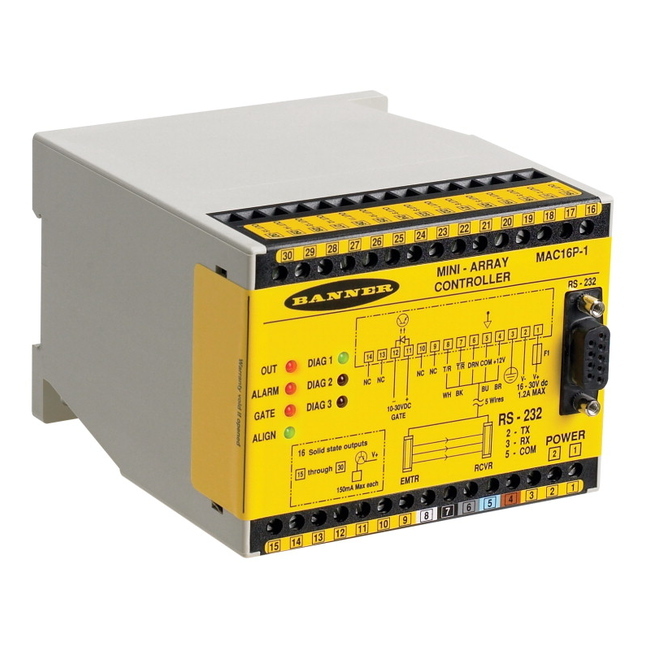 Serial Data Output: RS-232.